The businesses listed in this guide are paid advertisers. Usborne Books and More is a publishing company that provides fantastic hands-on educational books for children of all ages! Usborne makes reading fun for even the most reluctant readers. Usborne Books & More makes the bold claim that we are the highest quality, most educational, most BEAUTIFUL books available to children today. We are so confident, we have a 50% replacement policy, so ANY book that is damaged for ANY reason will be replaced at half the cost, no questions asked. The Fancy Chicken Boutique is an Independent Designer with Chalk Couture. I make fun and EASY home decor, clothing, and accessories. We can also host parties for you and your friends! MONAT is an anti-aging hair care line that has been CLINICALLY proven to help with hair growth and also promotes stronger healthier longer hair! All products are vegan and safe for ALL hair types. Our products are free of parabens, sulfates, silicone, and harsh chemicals. Everyone can use our products! All products are made and distributed in the USA and come with a 30-day money back guarantee. Nikki Wilkins | Mary Kay is ready to help you with all your beauty needs. Try our best-selling Charcoal Mask or grab some great stocking stuffers like our popular Satin Hands or the new Chromafusion eyeshadows, cheek colors, and highlight and contour colors! We have the perfect gifts for your loved ones. Soul(tre) LLC creates homemade organic, toxin-free hair, beard, and skin care products. We have product gift sets available to purchase for the holidays. All ingredients are selected from the best suppliers of certified organic and toxin-free ingredients, who have years of experience in finding and producing great quality ingredients at unbeatable prices. Soul(tre) goal is to not only feed the physical but to also feed the spirit. We want your hair, skin, and soul to shine. Color Street provides a unique twist to nail polish. The flexible strips come in all colors and funky patterns! You can get a professional looking manicure in just minutes and they can last up to 10 days! A perfect stocking stuffer for family and friends!! Scentsy is a safe alternative from candles we have a variety of products! Wax warmers, Bath Bombs, Body products, Diffusers, Stuffed Animals, etc! Gifts as low as $10! Be sure to ask about our holiday scents! 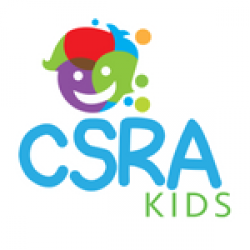 CSRA Hometown Heroes is an organization designed to give back to those who help make our communities a better place to live by offering real savings from local and national business partners, and Real Estate professionals. Heroes can find special savings for the things they do and use every day. New savings are being added often and membership is always FREE! This year marks the 48th Annual Christmas Craft show featuring over 100 exhibitors from all over the Southeast. This two-day event includes crafts such as wreaths, wood furniture, paintings, baked goods, jewelry, holiday ornaments, ceramics, pottery and many other unique items. It’s that time of the year again for our annual Auggie’s Holiday BUZZar and Holiday Vendor Market! Make sure to bring an unwrapped toy for our Toys for Tots Toy Drive and receive a special gift at the gate. This is a FREE event to attend at SRP Park. -Bring an unwrapped toy for Toys for Tots, you will receive a FREE Hot Dog and Coca-Cola soda during the event!